Examining hundreds of magnetic resonance imaging (MRI) scans from a group of children growing in poor households, researchers from the University of Wisconsin–Madison discovered that the regional gray matter volume in case study brains was up to 4 percent below the developmental norm for their ages. The threshold for “poor” was defined in the study published in JAMA Pediatrics as living in households 1.5 times below the federal poverty level. An even larger gap of eight to 10 percentage points was observed for children living below the federal poverty level. The analysis of grey matter which serves to process information in the brain, was then correlated with their subject’s school testing results. 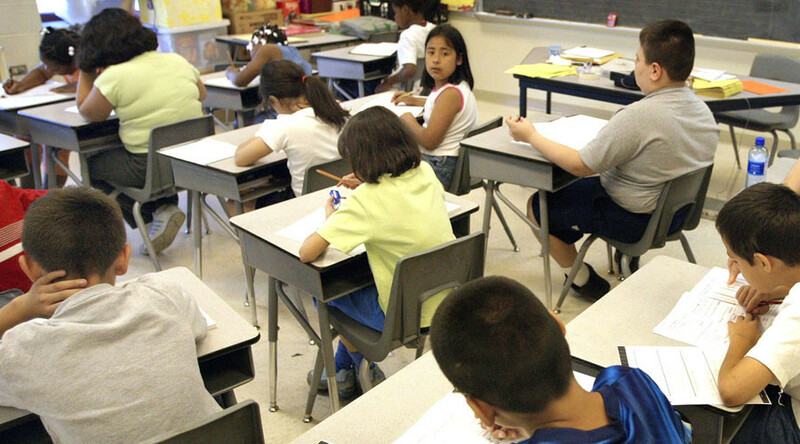 Analyzing their data, scientists discovered that “poor kids” scored four to eight points, or up to one-half of a standard deviation lower on general intelligence tests. "What was already discovered is there is an achievement gap between poor children and middle-class children," Pollak told Reuters. "Even when they move to better neighborhoods, children growing up in poor families tend to do less well in school than their less poor counterparts." In their research which examined over 400 cases, the authors found that delayed maturity in child’s frontal and temporal lobes was responsible for up to 20 percent of “achievement deficits” in test performance. “Children from families with limited financial resources displayed systematic structural differences in the frontal lobe, temporal lobe, and hippocampus,” the study says. When compared with “near-poor” children, peers below the chosen poverty threshold displayed a “significant maturational lag in each brain area of interest.” the study says. At the same time, researchers noted that that there is no significant differences in brain structure. The new study suggests that brain structures needed for learning and educational functioning are susceptible to the circumstances of poverty, most of all due to stress, nutrition and lack of stimulation in poor households.